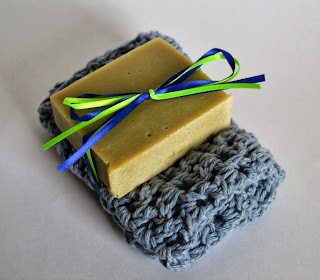 I've been trying to come up with a cute way to give a single bar of soap for gifts. Just a single bar on its own looks kinda cheap, and it makes a weird gift unless the recipient is very appreciative of handmade soap. 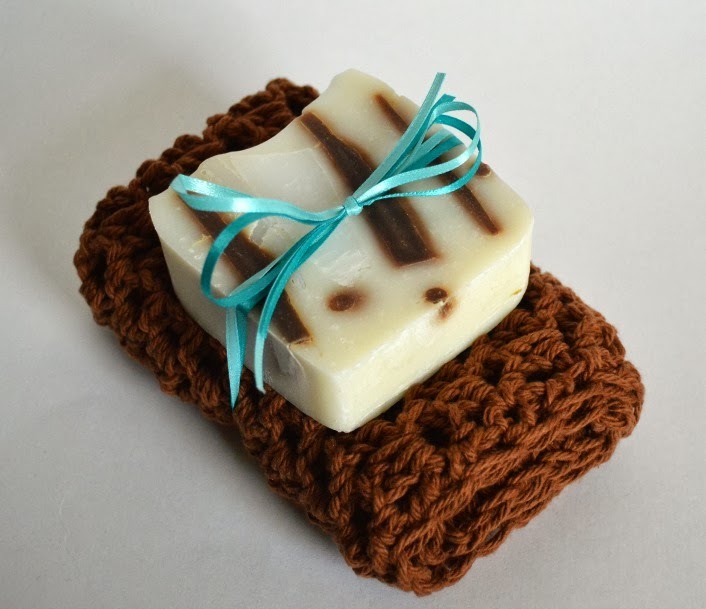 The crochet soap dishes I made earlier work great for gift-giving purposes, but I wanted another option... one that was a little more obvious at first glance what it was. 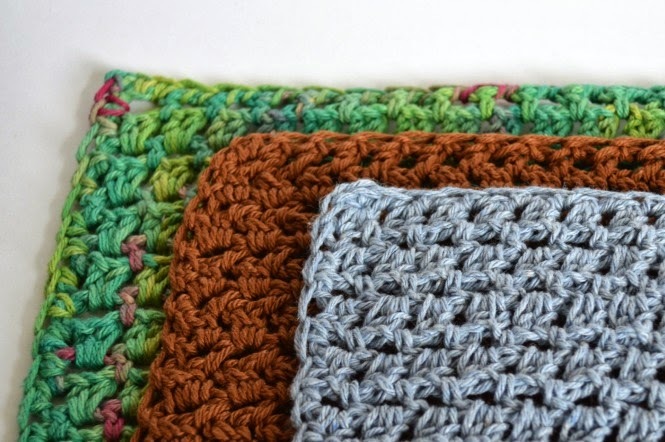 I needed a cool luxury washcloth that would be as special as the soap! (Heh, you think I oversold it a little?! LOL!!) 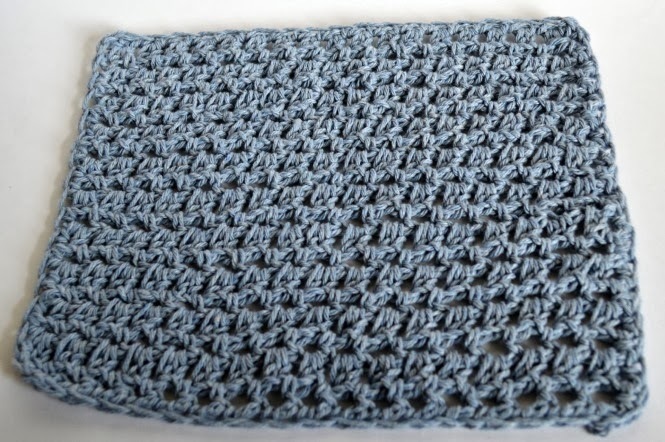 Okay, well if your definition of luxury is delightfully oversized, then this is the most luxurious washcloth ever. 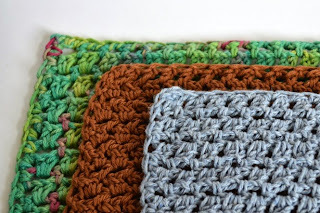 Sc 20 stitches evenly around all four sides of the washcloth, putting an (sc, ch1, sc) in each corner. I folded it in half and then into thirds and put my soap on top. I tied it with about 18" of ribbon. I think it looks fun. You totes don't have to use handmade soap for this either. I think it would be a fun stocking stuffer even if you bought a big multi-pack of less expensive soap and used that instead (Ooh! It would look good and be super cheap, like $3 or less per present including your yarn costs! Yay!!). Hi Dynamos! Thank you for all of the lovely comments about my latest soapmaking adventure. I used Random.org to pick 3 winners from the comments. 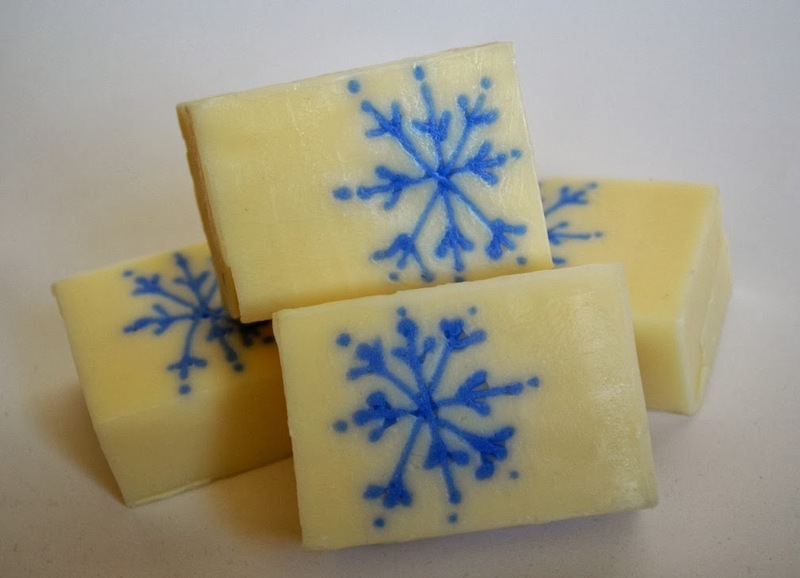 So April Jacobson, Sue Coletta, and Susiewan in the Netherlands, I'll be sending you some soap this week! Hi Dynamos! 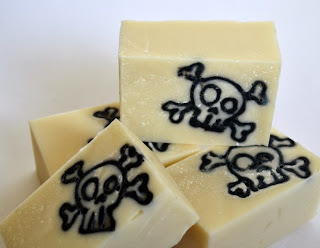 I enrolled in the Soap Challenge Club this month over at Great Cakes Soapworks. Amy was teaching how to do squeeze bottle designs in your soap this month and I was desperate to know how to do it, since my previous attempt to figure it out on my own had proven disastrous. Okay, perhaps disastrous is a little dramatic, but it sure was ugly as all get out. 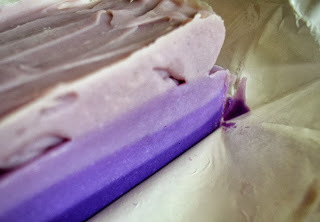 Anyway, as part of the "class" you have to post pictures of your finished soap and write a little about your experience. 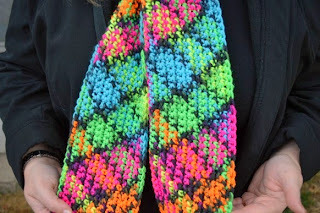 So, crochet goddesses, if this doesn't interest you, I'll not be offended if you just skip to the next blog in your feed. But for those of you who want to know a little more about the weirdness I've been up to, please join us and follow along! 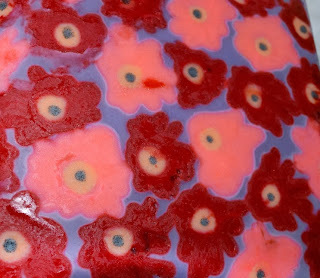 My entry to the Great Cakes Soapworks Soap Club Challenge! I am calling this Fresh Snowflakes. This was my first attempt, post video lesson, with the squeeze bottle technique. I had picked a scent I'd never used before, Fresh Snow from Bramble Berry, and I found it very easy to work with. The scent is supposed to evoke the calm and peace that follows a snowfall, and I wanted to use a snowflake to really drive that feeling home. Of course, being me, one soap was not enough. I drew some skull and crossbones and made a pirate soap. I used Bay Rum from Bramble Berry to scent it, and as I poured the FO (fragrance oil) into the raw soap batter it turned the batter yellow! I almost had a heart attack (since, much like the Fresh Snow, I had never used this FO before. Why do I torture myself this way?! LOL!) I added a big spoonful of Titanium Dioxide (TD) to the batter, which didn't quite mix in and left it a little spotty. I think that I got lucky, since the TD spots look really cool with the skulls. 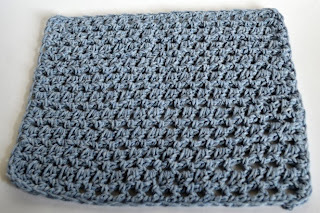 And I am very gratified to see that the FO didn't cause my soap to turn brown, or even stay yellow. It's a bony cream color, perfect for scrubbing pirate booties. My MIL is a huge fan of Marimekko, and this technique lent itself beautifully to creating designs inspired by that label. I would really like to give this one another try, I would love for the orange centers of the flowers to pop a little more, and it would have been cool if I could have kept the pink and red from bleeding into each other. But, I'm pretty pleased overall with how it turned out, since working with a ketchup-bottle full of lye soap isn't the easiest way to paint. LOL!!! I very much appreciate how supportive all of you have been with my new endeavors. Does anyone want some soap? I can vouch for it, it's awesome! I'll mail out soap packages to 3 lucky Dynamos. Leave a comment with your email address, and I'll do a random drawing on Monday, November 18th to decide the winners! EDIT 11/7/13: Good morning Dynamos! I edited the pictures for this post about two months ago, but scheduled it to come out yesterday (which was two months in the future for me) because I made our whole family slippers from Mamachee's patterns, but at the time I had posted a lot of them and I was trying to give some space between them so that wasn't the ONLY thing I was talking about. LOL! And then, somehow, I completely forgot about it. So this morning I got a notice that Amber had made a very sweet, and of course confused, comment (since I hadn't written a single thing about any of the pictures and as a group, they're not telling a complete story) and I realized my mistake. How horrifying. So I hopped on as fast as I could and am going to try to make sense out of this post. I made my self some boots! I used THIS pattern, the Mamachee Boots by Tara Murray. They're pretty comfy, but they stretched out. 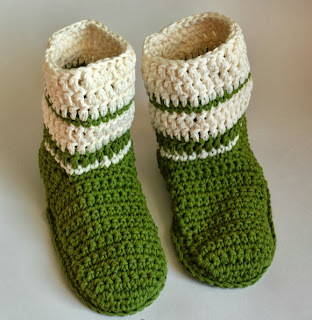 I don't know if it was that I crochet at a looser gauge than she does, but after wearing them for a few days they stretched out so far that they actually fit my husband (Men's size 16) perfectly. I am not entirely sure what do do next. I don't know if washing them will shrink them back up, or if I need to just make a new, skin-tight version for myself that will loosen up with wear. 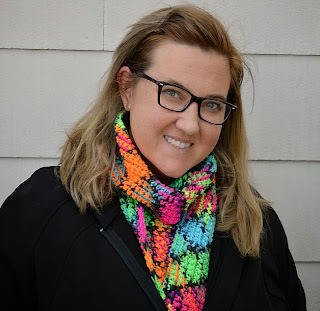 Frankly, I am disappointed, which is not a review that I would have given two months ago when I finished them, because the pattern was easy to follow and fun to put together. I am very conflicted over these boots! 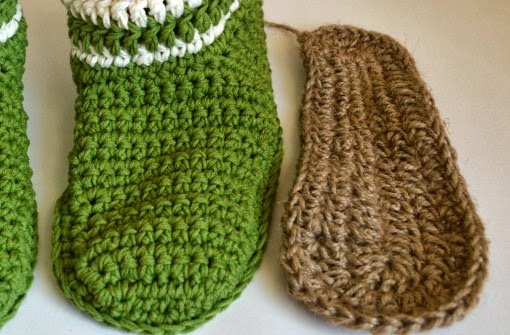 I was going to make jute soles (also by Tara Murray) to make my boots indoor/outdoor slippers, but I never actually sewed them on. They're still sitting in my work bag looking very cool. But the pattern was as fun to work on as the slipper had been, and it was great to work with a new material. Ah, I was trying to figure out why I put pictures of these particular soaps on too. They are my latest disappointment soaps! LOL! The top one was a citrus scented soap that was supposed to be a rainbow swirl, but I forgot to add the scent until after I had poured my swirl into the mold. So I had to pour it back into my mixing bowl and add the fragrance, and completely lost my rainbow. But it really does smell divine. At the time I made it I was a little disappointed in the lumps on the side of my purple ombre soap, but once I cut it, they weren't as noticeable. 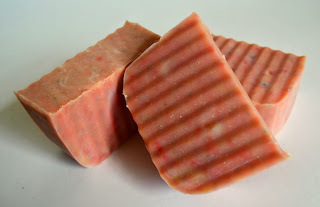 But this soap was the cause of my first real lye burn, thus the angry red picture below. I don't know how I managed to get lye water under the edge of my glove and (no picture for this) on my cheek. OMG that hurt. I don't recommend it. 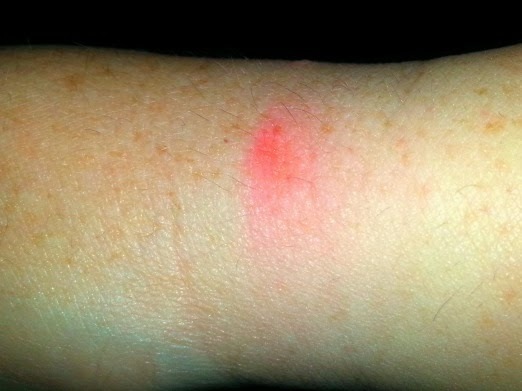 But I've healed and have been much more cautious and haven't gotten burned since.